An effective wired alarm system, made up of various sensors, could offer you the protection you need. 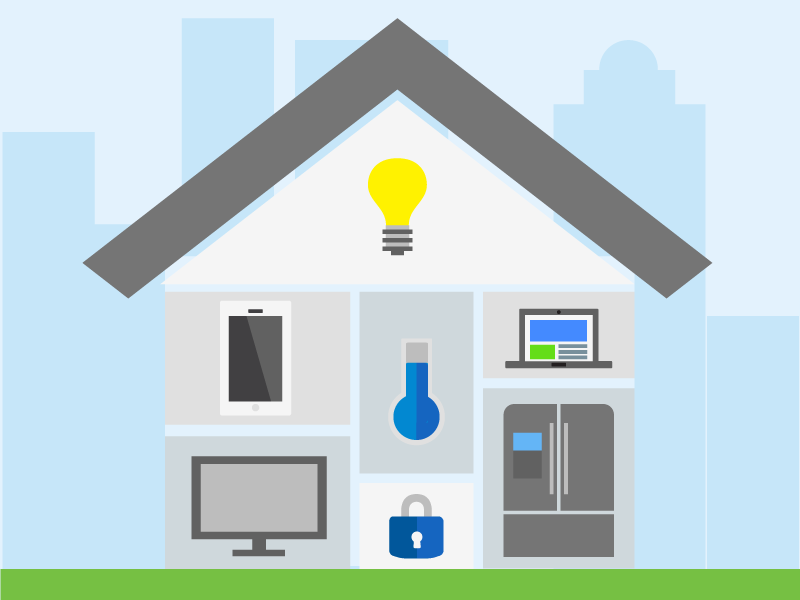 They are also available in the market, and if your home is under construction or renovation, it could be the perfect time to install home security system. 1. Keypad(s) - is your main user interface where the system is either armed or disarmed. It could also be further secured using a passcode. 2. Main Control Panel - is wired to this operating system, including the connections to a monitoring station. 3. Sensors - are wired individually to the main security panel and could include motion detectors, door and window contacts, among others. 4. Siren(s) - could sound or alert visually when triggered. If the sensors detect abnormal activity or atmospheric levels then it would alert you using the siren. Our central monitoring service would then send a professional response team such as the police or the fire fighters, depending on the situation, to come to your assistance. 1. Wired alarm systems are not battery operated so there may be no need to worry about battery failure. 2. Wired alarm systems are not disabled by cutting wires. The only wires that can disrupt the system (even for some wireless systems) are the communication wires to the monitoring station, such as a telephone line. 3. Explain to your loved ones how to use the alarm system and what to do in case of emergencies. When it comes to your security, the phrase “an ounce of prevention is worth a pound of cure” could not be less true. According to FBI, 97% of all home intrusions happen when no one is at home. There is a greater likelihood that a burglar would pass on a house knowing that it is wired with burglar alarm system. The team working at the CMS are the unsung heroes of this security system. As soon as the station receives a signal, the operators contact the owner and the concerned authorities so that any attempt to break-in can be foiled. Let no intrusion in any premise go unattended. 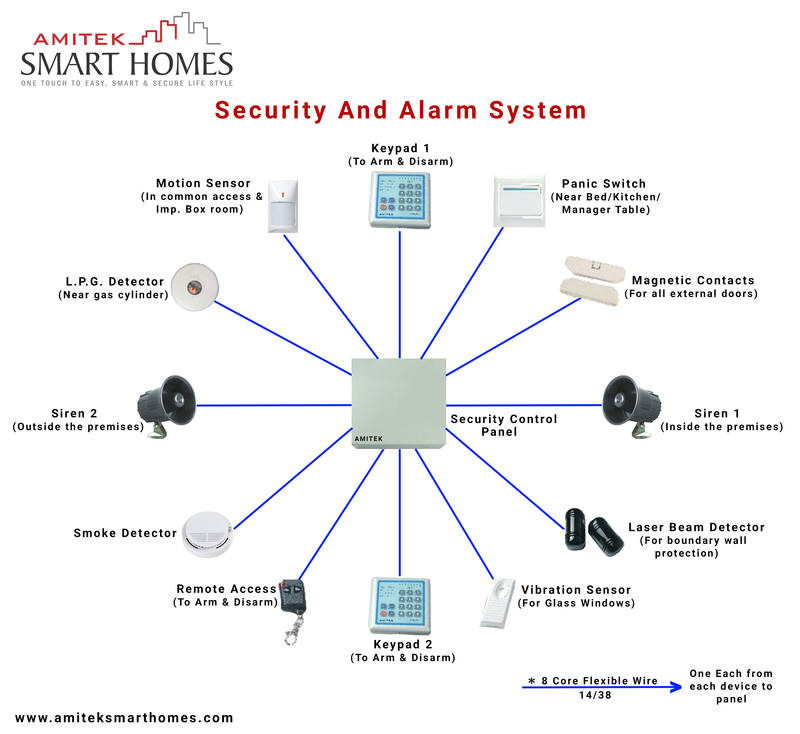 Amitek is a trusted name you can rely on for home and office safety. Don’t lose sleep over the fear of burglars in the neighbourhood. Get the best intrusion and burglar alarm at a surprisingly affordable cost.